T-Mobile has today launched a new parental control offering for managing devices, internet use, and screen time. Notably, the Uncarrier’s take lets users manage more than just iPhones connected to its network. 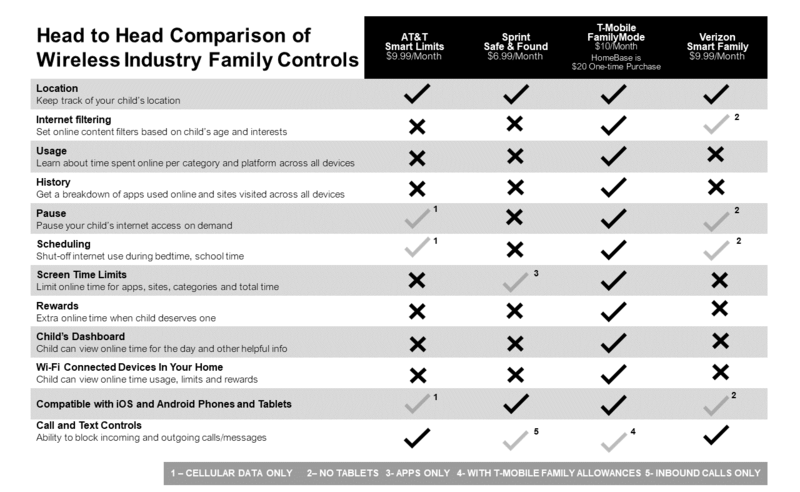 Announced in a blog post, T-Mobile details how its hardware + software offering gives parents more control than some competing options. Much like we’ve seen with the latest mesh router systems from eero and TP-Link (reviewed), T-Mobile’s FamilyMode hooks in with your Wi-Fi network to allow users to monitor device usage, set limits and filters, pause the Internet and more for all of your family’s devices. The hardware costs $20 and the service via the carrier’s FamilyMode app is priced at $10/month. T-Mobile touts that compared to offerings from the other major wireless carriers, it provides the most features and control. If you’re thinking of keeping your existing router, FamilyMode may be worth considering. However, if you’re about ready for a router upgrade, some of the new mesh systems like TP-Link’s Deco include family controls for free.